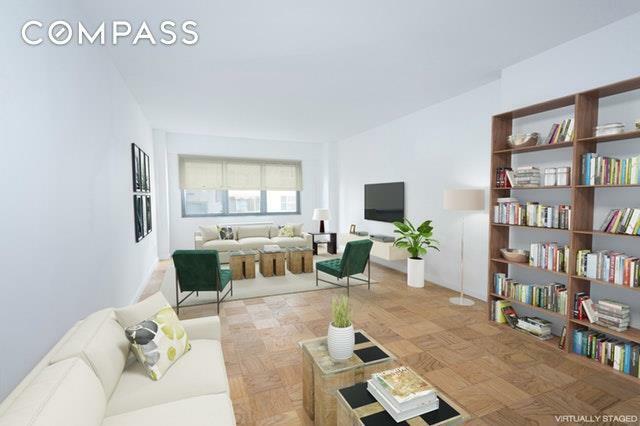 *OPEN HOUSE Sunday 4/7, 1:30-3:00*Located only ONE block from Central Park, this bright and airy south-facing sizable 1 bedroom home is in the heart of Manhattan's prime "Gold Coast" real estate. 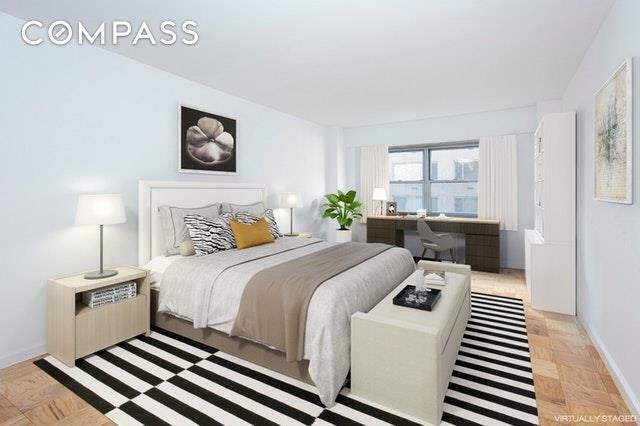 This perfect pied-a-terre or first-time home offers expansive space, well-proportioned rooms, extraordinary closet storage and soaks in plenty of sunshine all day! Remodel the kitchen and bathroom to your own personal taste, however, cosmetically, this full-bodied home is in pristine condition. All doors, hardware and base molding are recently replaced plus hardwood parquet floors completely redone. 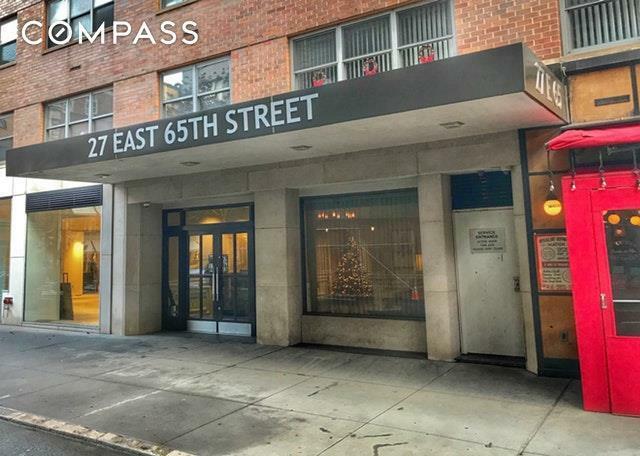 Additionally, a fresh coat of paint has been applied throughout.27 East 65th Street, an upscale 17 story white glove Co-op is literally minutes to Lincoln Center, Columbus Circle and Times Square. At the same time, nestled in a quiet neighborhood away from the hustle and bustle. Many fine restaurants and cafes are close by in addition to Museum Mile and the world's best shopping! There is an abundance of easily accessible transportation choices in the area and certainly no shortage of fine public and private educational institutions. 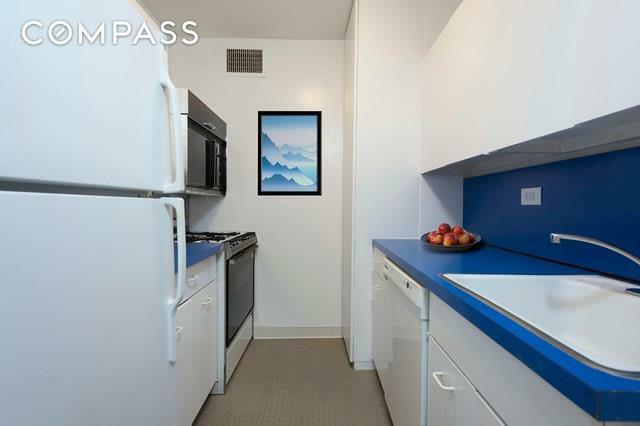 You cannot possibly beat the location!mAmenities include a full-time doorman, live-in Superintendent, laundry room, garage and storage. Co-purchasing is permitted, however, dogs are not.6E is a tremendous value at a very affordable price. Serious seller is priced 20% lower than the same line (lower floor) currently available for sale in the building. Buy now and close just when the trees in Central Park will be in full bloom! Listing courtesy of Jeffrey Bua of Compass.